New opportunities are happening every day at the Shasta County Arts Council at Old City Hall! The Shasta County Arts Council seeks exhibition proposals for participation in the Old City Hall Gallery. Works representing both traditional and innovative approaches to the visual arts will be considered. All media will be considered. Majority of works to be exhibited must have been completed and not presented regionally in an exhibition within two years of Old City Hall scheduling. Artists may not hold a major show in Redding simultaneously. Artwork accepted for exhibition must be READY FOR PRESENTATION (i.e., framed with appropriate hardware for hanging). Items requiring specific display instructions must be designated as such in the proposal for consideration by the gallery curator. No piece may be withdrawn before the close of a showing. Sold art is picked up by the purchaser at the end of the exhibit. Would you like to join us for some of the great events we host? We are always looking for volunteers to help with gallery opening nights, music and theater events such as the Silent Film Festival or the Nor-Cal Jazz Festival, and ARTsMART, or even to help in the office at times. Maybe you’re looking for a different type of task? We also need people to hang up posters around town prior to our events. If this sounds like something you would be interested in, please contact shastart@shastaartscouncil.org or call 530.241.7320. You can also complete the volunteer form and drop it in the mail or fax it to us at 530.225.4455. We look forward to meeting you. Submit information regarding an upcoming event you are organizing! Our e-blasts generate an average of 3,177 impressions a month and are also published on Shasta County Arts Council Facebook Page and Twitter. For more information, call 530.241.7320. Please email all submissions to destinee@shastaartscouncil.org. 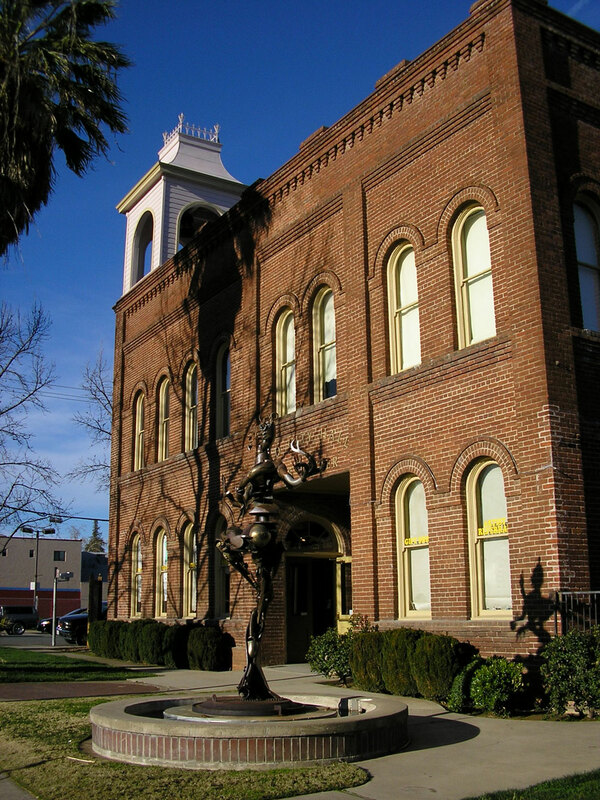 Old City Hall is one of the most prestigious locations in downtown Redding! Available spaces for your classes include the enormous Performance Hall, which is ideal for dance, acting, and music classes. The Hall is wheelchair accessible! You can also hold your classes in the downstairs classroom, which is ideal for smaller groups or for painting, drawing, or crafting activities. If you are interested in holding a class at the Old City Hall Art Center, please download the SCAC Class Proposal here.